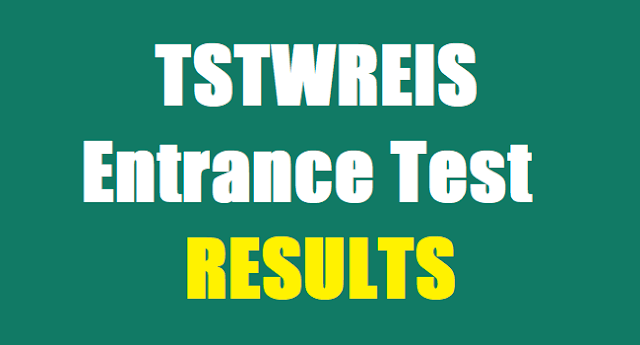 TSTWREIS Gurukulam 6th,7th,8th, 9th classes entrance test results 2019: TSTWREIS GURUKULAM 6th,7th,8th, 9th Classes Entrance Test 2019 Results/ Telangana TWREIS GURUKULAM VI, VII, VIII, IX Classes Admission Test 2019 Results : Government of Telangana State, Tribal Welfare Department issued a Government Order for the conduct of Entrance Test for admission into Classes VI to IX in TSTWR Schools for the Academic Year 2019-2020. As per this Government Order the Telangana Tribal Welfare Residential Educational Institutions Society (TSTWREIS) issued 6th to 9th classes Entrance Test 2019 Notification in April 2019. The Telangana Gurukulam will conduct the entrance examination 2019 for admission into Classes 6th,7th, 8th and 9th during the academic year 2019-2020 in all TS TWR Institutions across the state on ... May 2019.